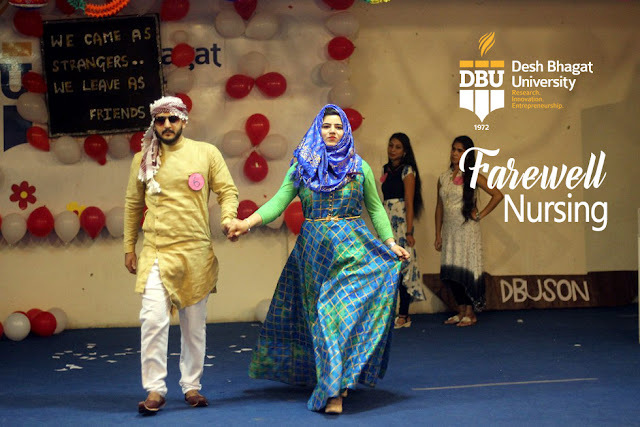 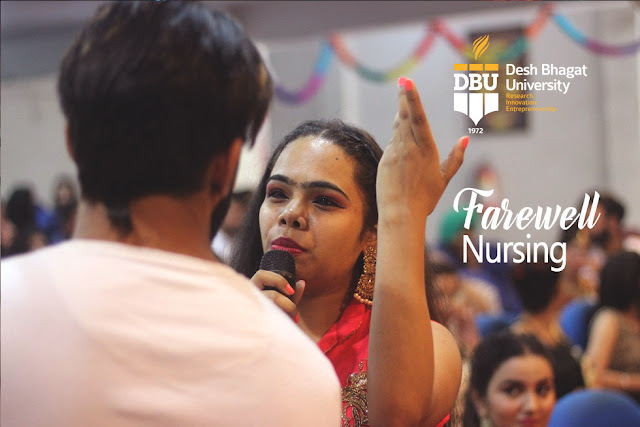 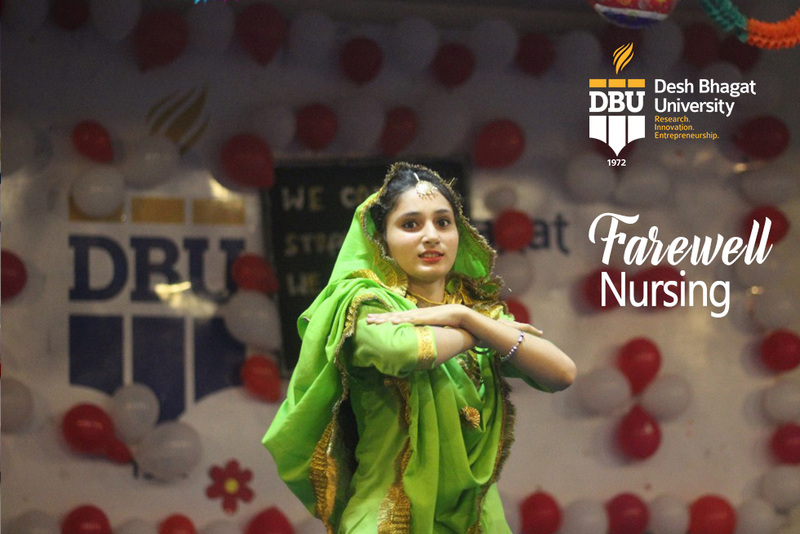 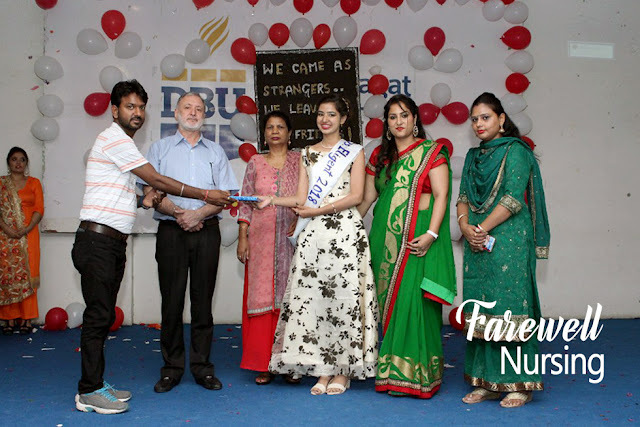 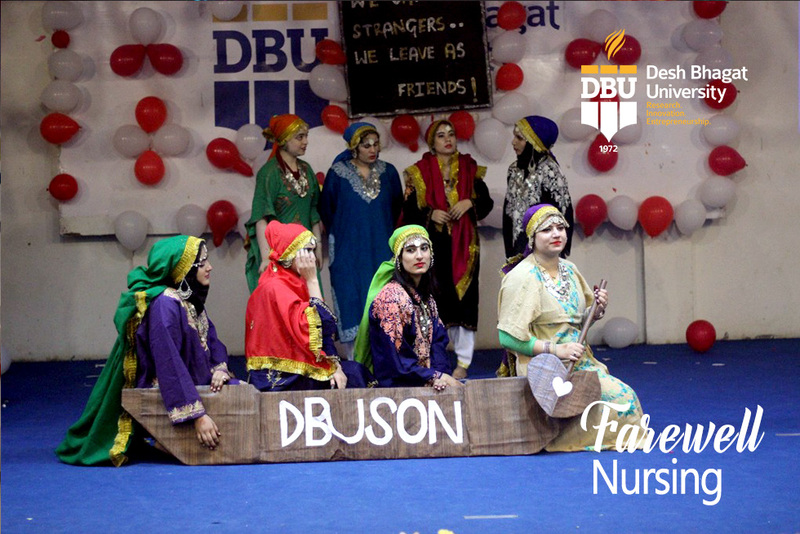 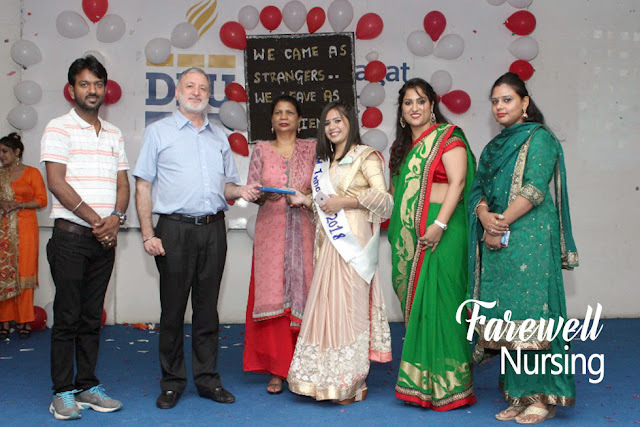 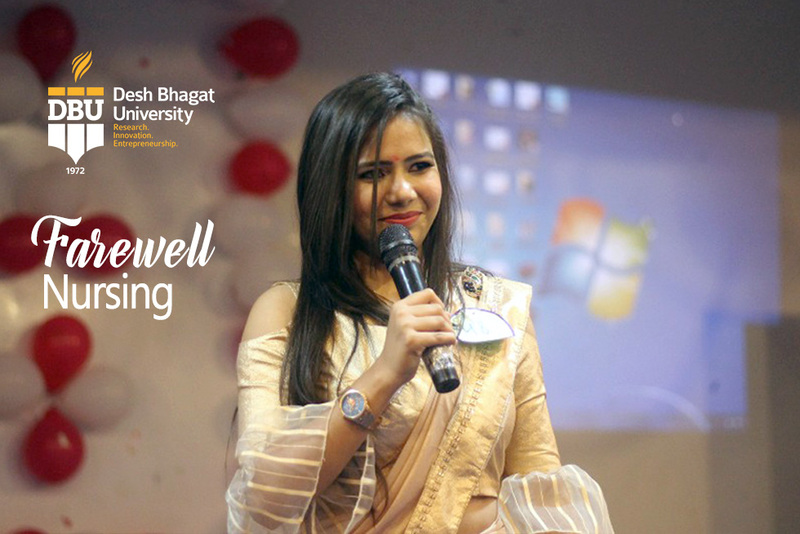 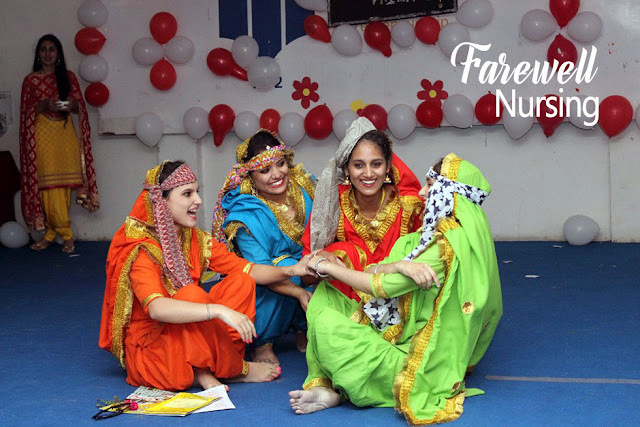 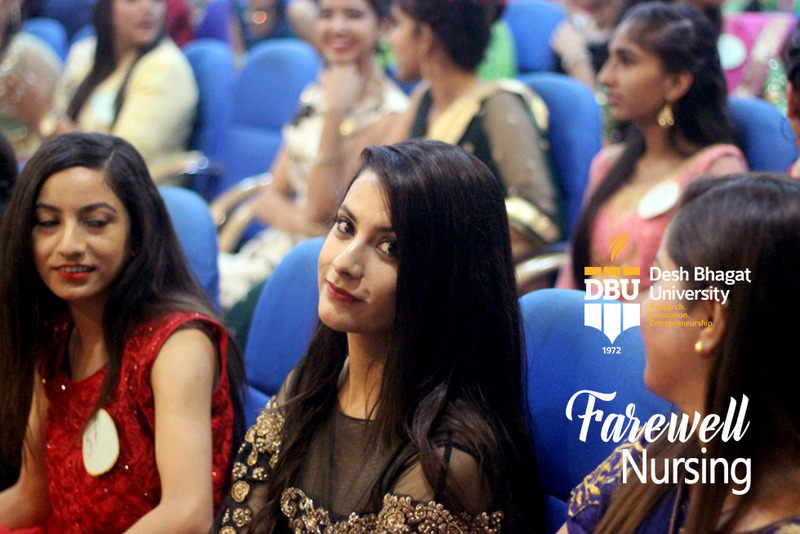 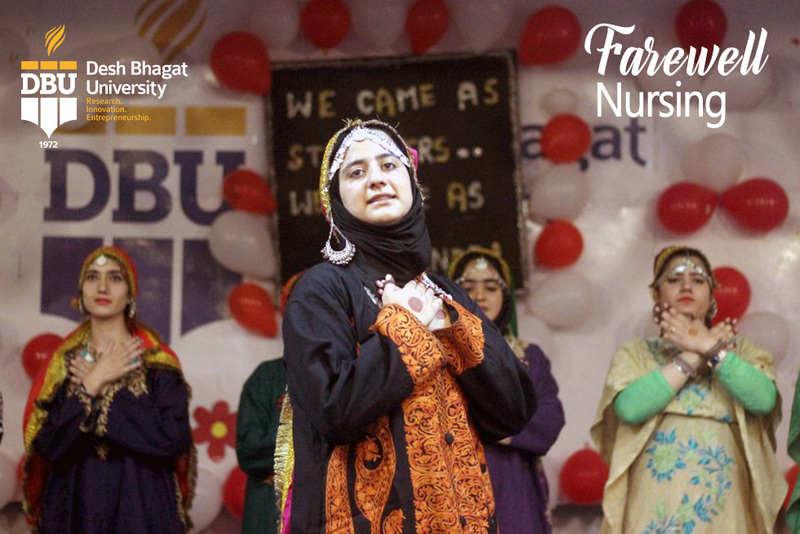 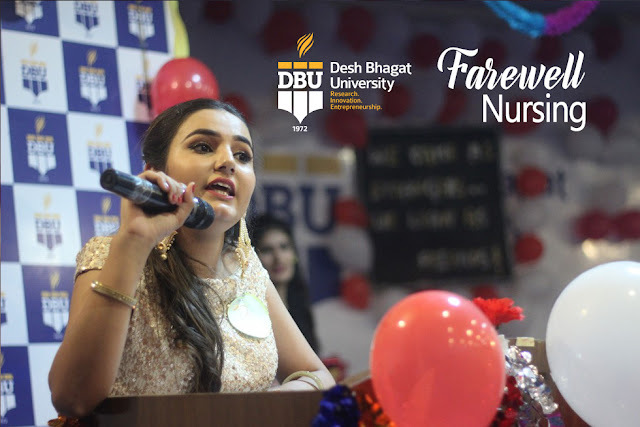 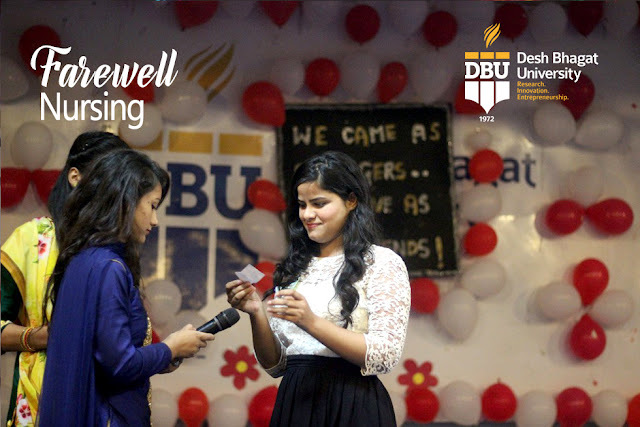 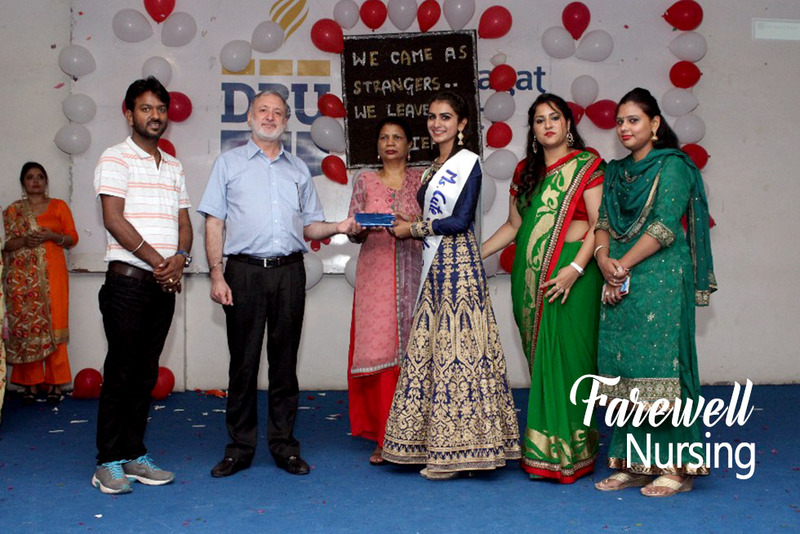 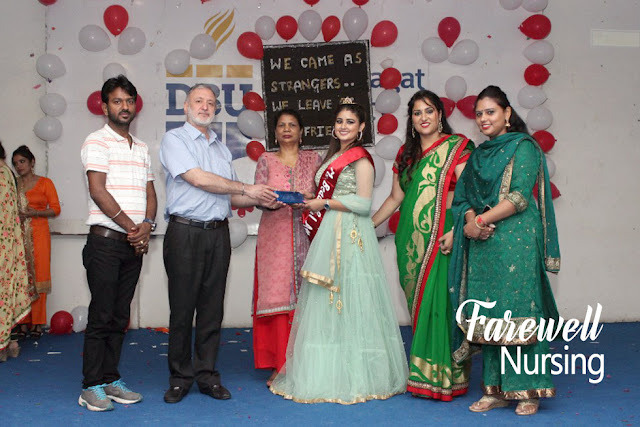 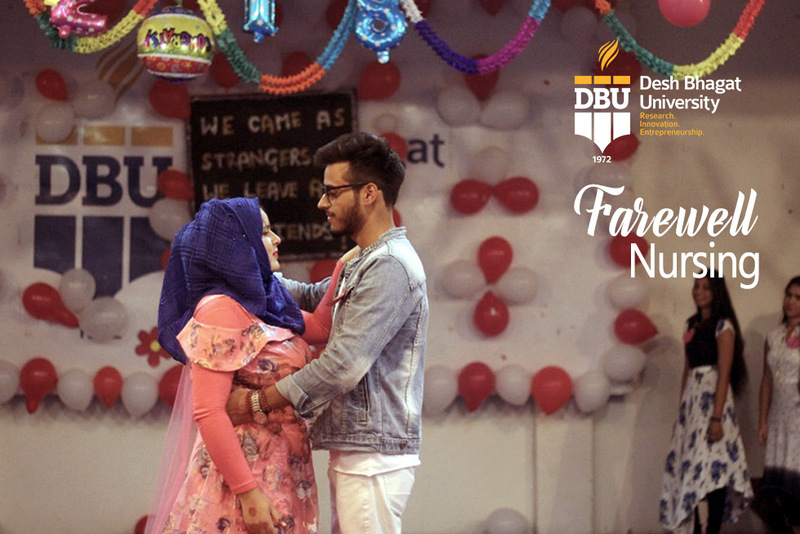 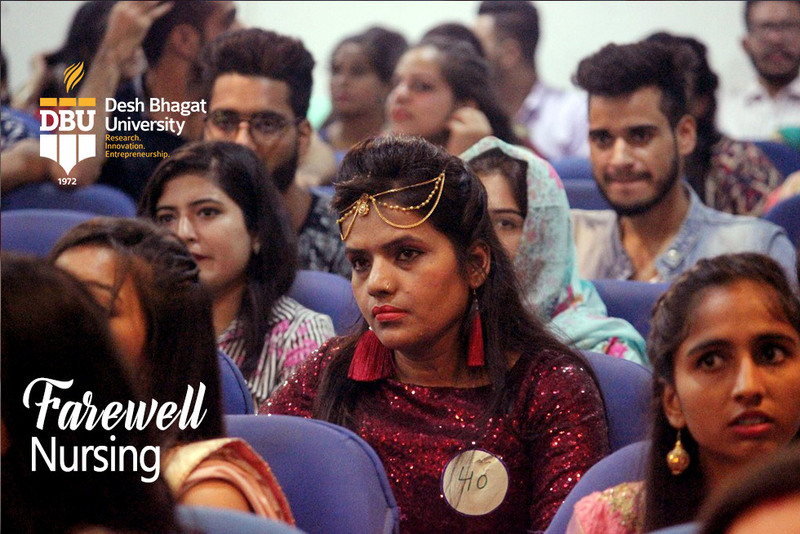 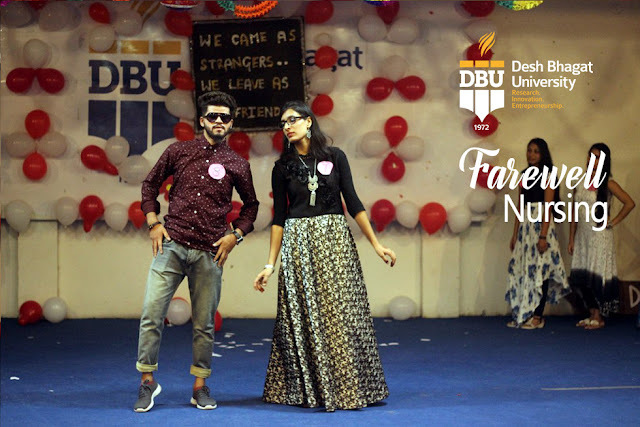 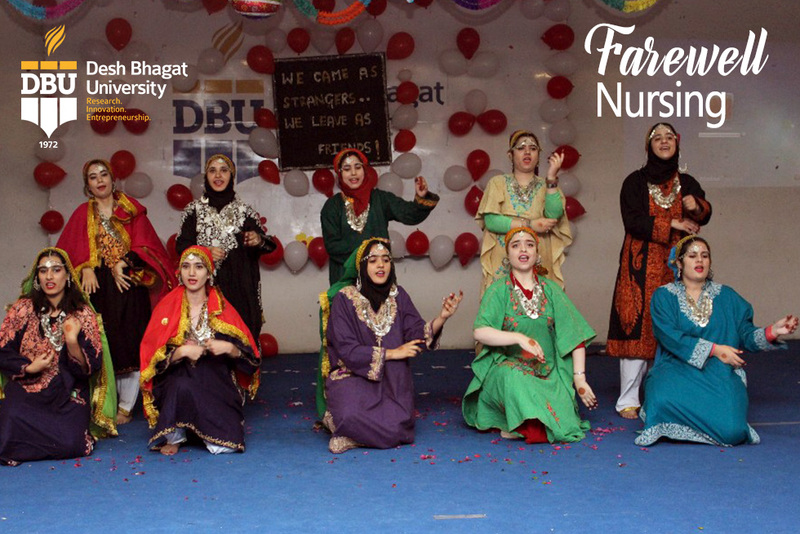 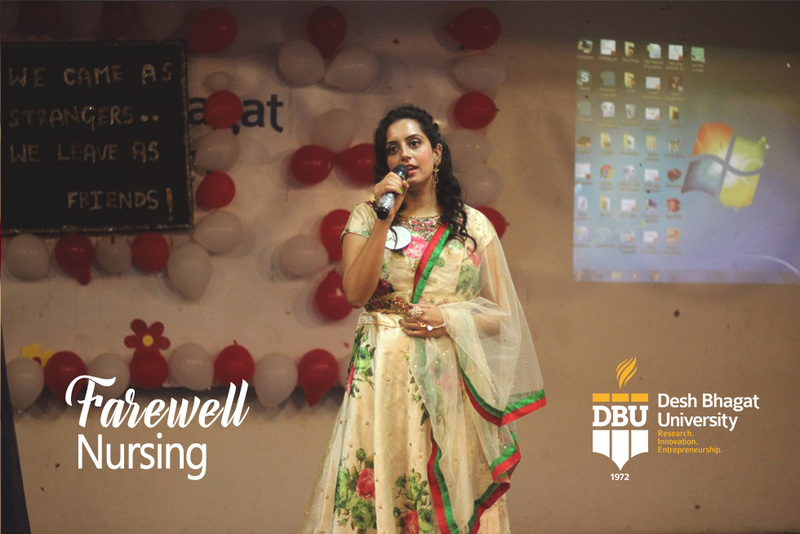 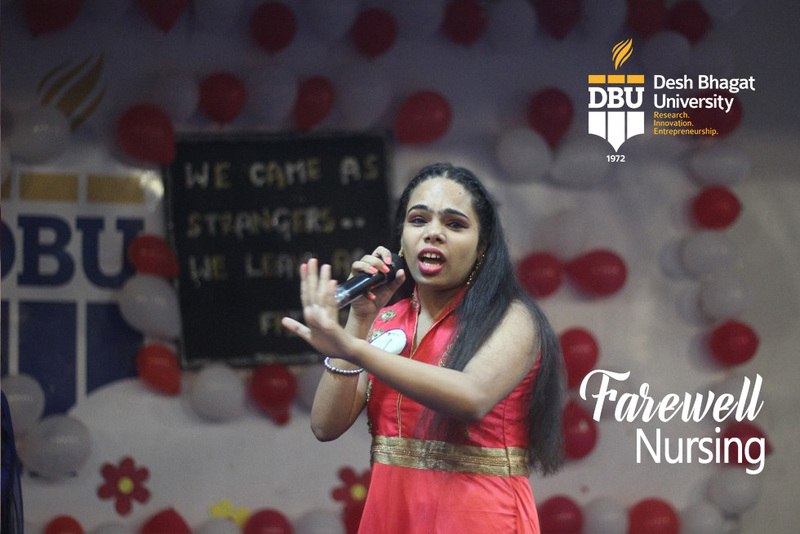 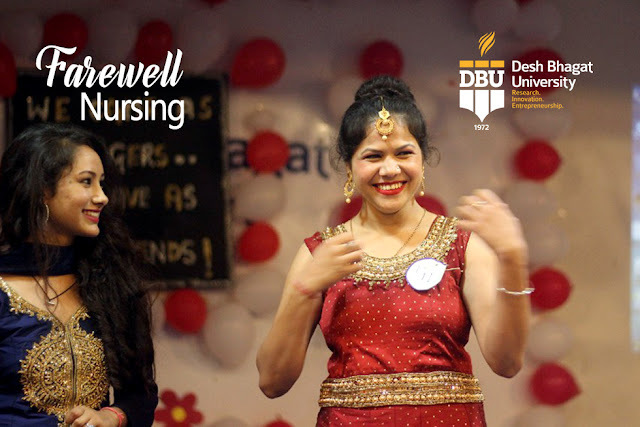 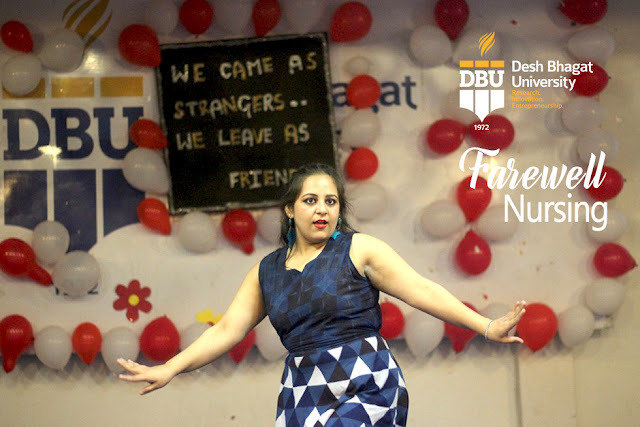 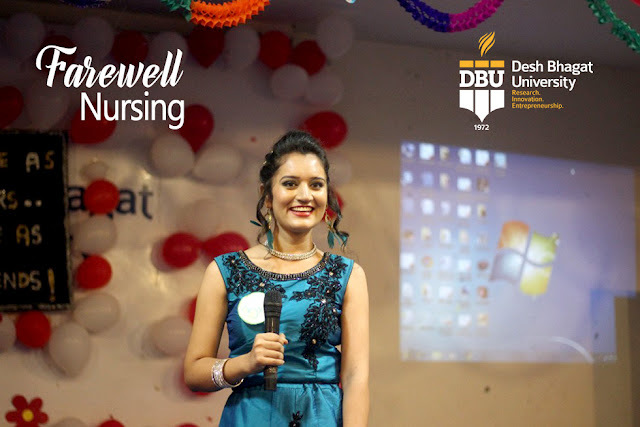 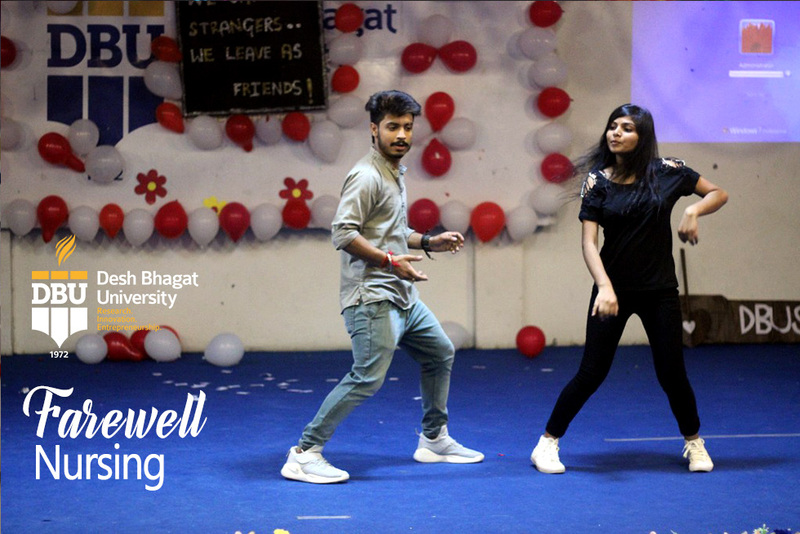 In best university in Punjab, Desh Bhagat University Nursing College organized a Farewell Party for ANM, GNM, B.Sc Nursing, Post Basic B.Sc Nursing and M.Sc Nursing students with great joy. 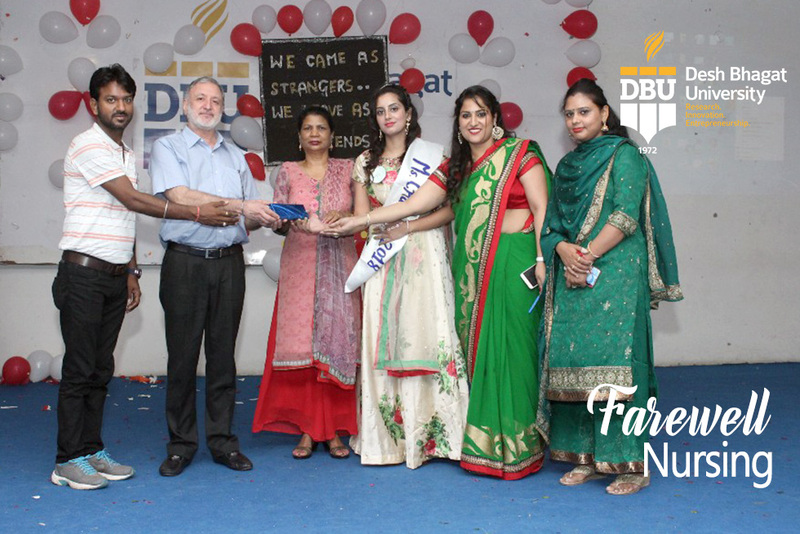 During the inauguration of this function University Chancellor Dr. Zora Singh and Pro Chancellor Dr. Tajinder Kaur conveyed their best wishes to the students. 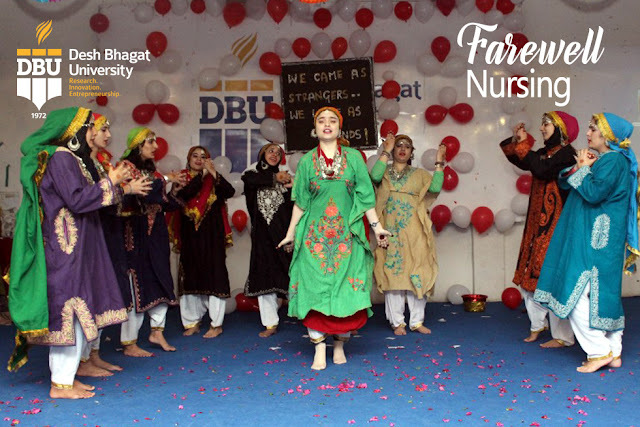 A Cultural program was arranged on this occasion, in which students performed Bhangra, Gidha, kashmari dance, Group Dance, Choreography, Mono Acting, Mimicry and Fun Games etc. 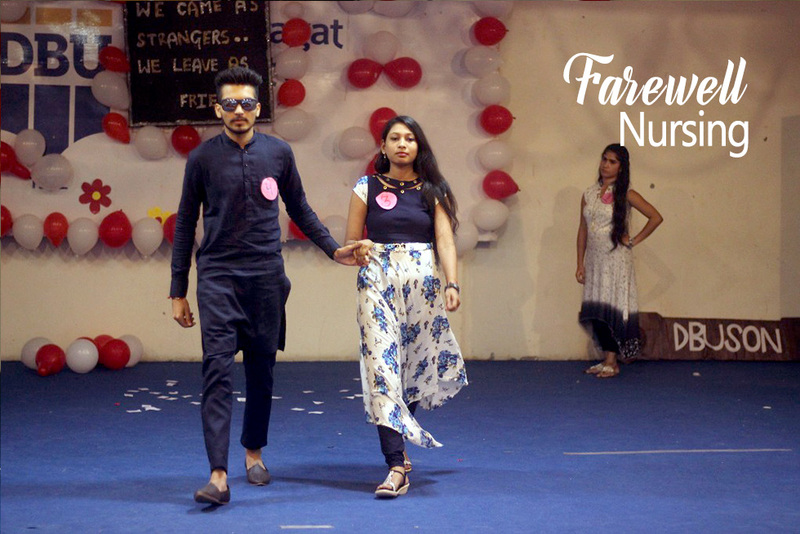 The main attraction of the party was modeling on ramp by the outgoing students. 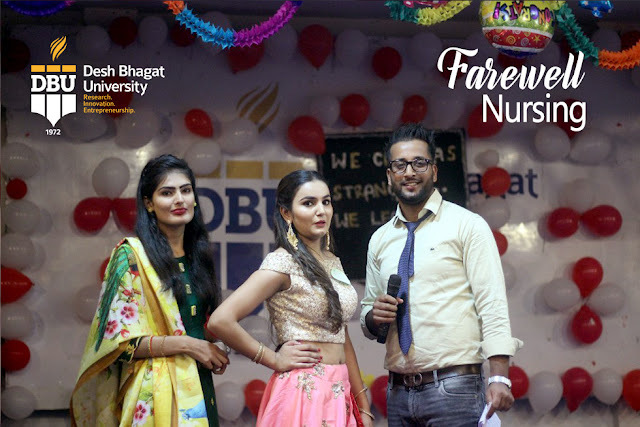 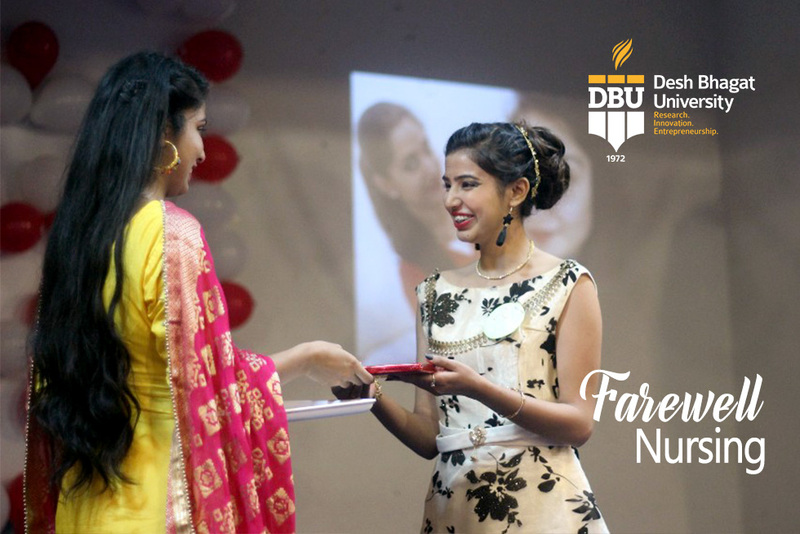 To add more fun to the celebration, the outgoing students' precise commentary on their personalities were also enacted by their juniors as a token of love and honor. After diverse rounds of games and performances, Ms. Diljot Kaur won the title of 'Miss Farewell' and Rupinder Singh was selected as 'Mr. 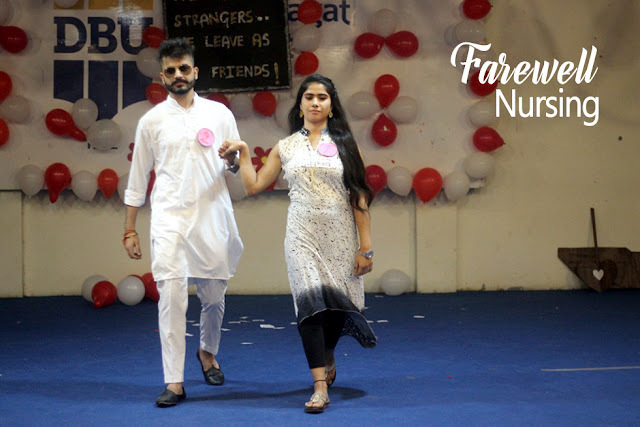 Farewell'. 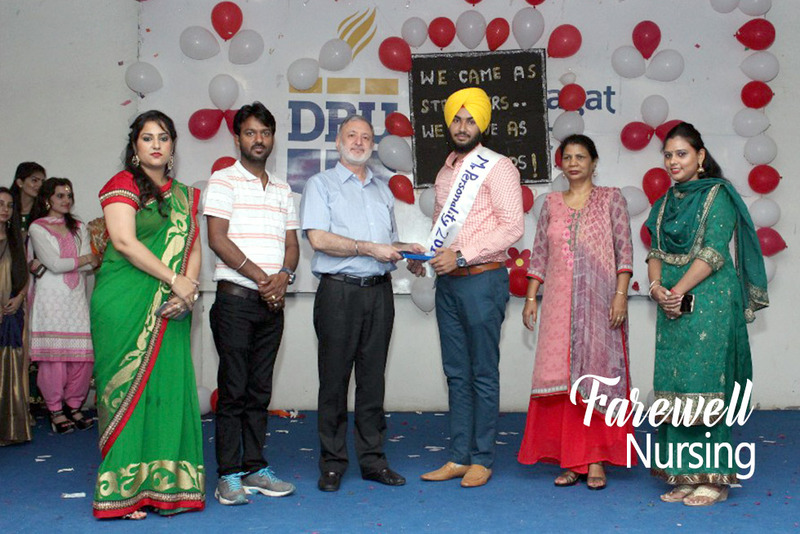 Ms. Manpreet Cheema won the miss beautiful and Mr. Gurjot Singh got Mr. 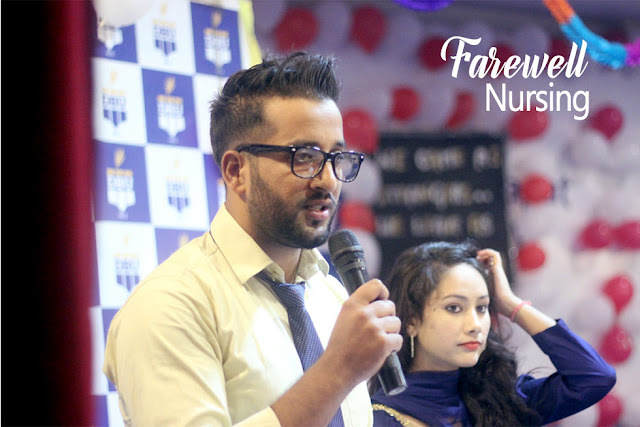 Personality title. 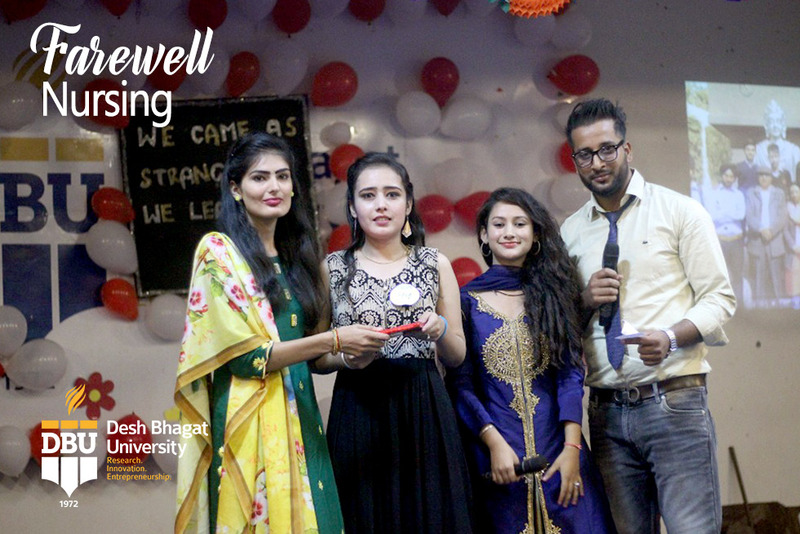 The party was highly enjoyed and appreciated by the students. 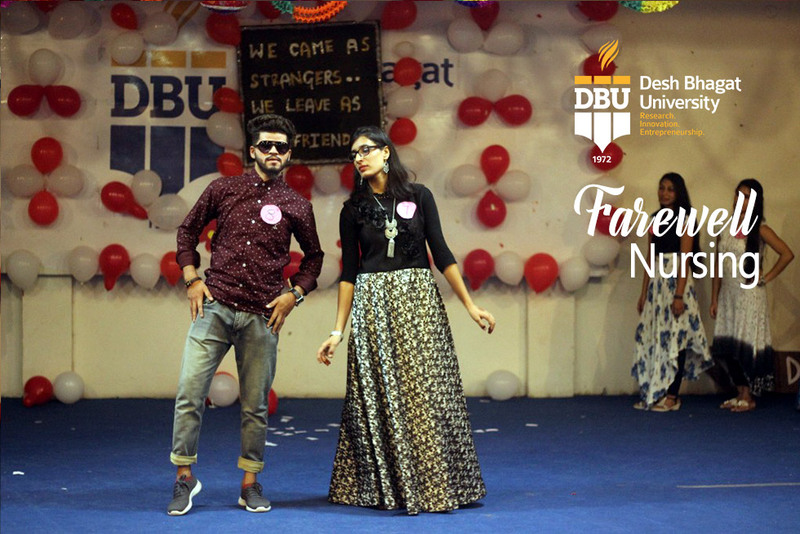 Later the students enjoyed the DJ dance party. Chancellor Dr. Zora Singh said that Desh Bhagat University has made special achievements in academics, cultural, sports, and social service activities, highlighting additional facilities provided for enhancing their general knowledge all along with the regular curriculum so, that they can grow in every field in this age of competition. Vice chancellor Dr. Varinder Singh gave his blessing to the students. 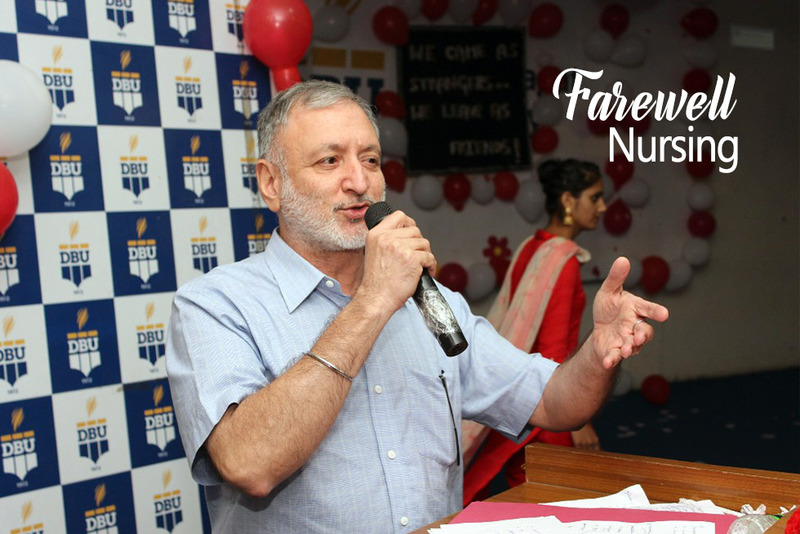 He hoped that students will do their best in future and they will make us feel proud. 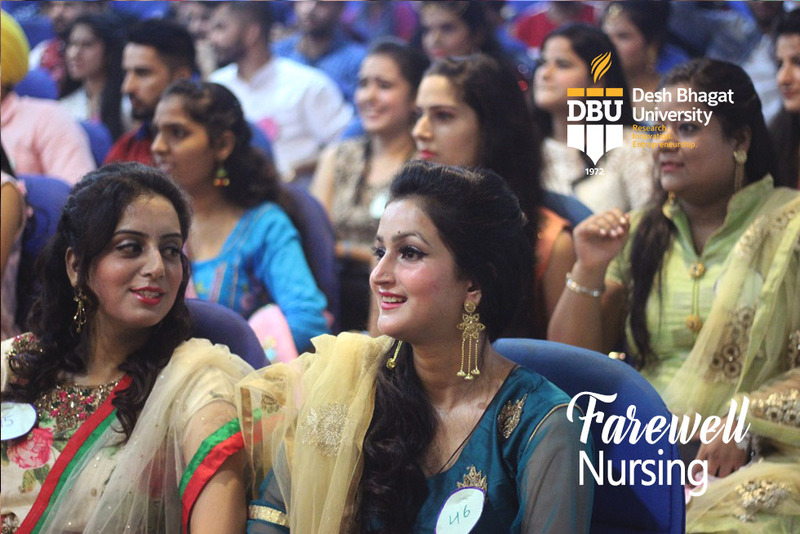 Principal of nursing Dr. Martha George, Vice Principal Mr. Deepak Shandilya and all faculty members were also present on this occasion.